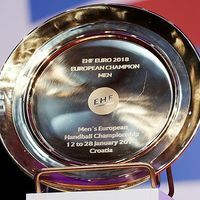 From Spain in Europe’s west to Hungary and Slovakia in the east; from Denmark in Europe’s north to FYR Macedonia in the continent’s south-east: the bidding process for the EHF EUROs in 2022 & 2024 has attracted EHF Member Federations from across the continent. In total, there are seven bids with several nations joining forces to apply for the championship. As part of the bidding process, all nations were obliged to present their bids online as well - and all web presentations have now been made available on the EHF's exclusive bidding platform 'Beyond 2020'. To access the individual presentations, simply click on the respective bidding nations as listed below. There is currently no member federation bidding for the Women’s EHF EURO 2024. For this championship, the EHF Executive Committee will determine the further procedure. The dates for the Men’s and Women’s European Championships in 2022 and 2024 have already been confirmed.